CHATTANOOGA, Tenn. – A tearful Sherry Blake told jurors Jan. 29 she feels like a woman “betrayed” by the former boss who had considered her more like a “work wife” than an executive assistant: former Pilot Flying J President Mark Hazelwood. Blake, who remains employed at the truck stop giant, testified Jan. 29 in U.S. District Court that she spent years handling all kinds of professional and personal business for Hazelwood. She booked his trips, made out his daily schedule, filtered his email, handled his personal real estate development and sports team businesses, and even paid his monthly personal bills. And, she said, she made sure he got weekly copies of “trip reports” by his sales executive subordinates — reports federal prosecutors Trey Hamilton and David Lewen say contained incriminating statements about the massive fraud scheme being carried out at the nation’s largest diesel fuel retailer. Blake didn’t read the reports. But, she said, Hazelwood commanded his subordinates to send them to her, and he commanded her to make sure he got them. She would print them out and put them in a binder for him and, later, created a Dropbox account so he could review them on his iPad. But when she told the investigator for Hazelwood’s defense team and the truck stop giant’s own investigator about her efforts to make sure Hazelwood received the reports, she testified Jan. 29 she got a call from Hazelwood. Hazelwood, former Pilot Flying J Vice President Scott “Scooter” Wombold and former account representatives Heather Jones and Karen Mann are standing trial in U.S. District Court in Chattanooga on charges including conspiracy to commit wire and mail fraud in connection with a scheme to defraud trucking companies of discounts on diesel fuel promised in return for loyalty to the truck stop giant. Fourteen former sales executives and staffers have pleaded guilty. Two more were granted immunity. Pilot Flying J’s board has admitted criminal responsibility and has paid $92 million in criminal penalties, $85 million in lawsuit settlements and an undisclosed amount for the legal defense of its former employees, including Hazelwood. Hazelwood faces additional charges of witness tampering for that call to Blake, who testimony showed has not been accused in the fraud scheme. She told jurors she has worked for Pilot Flying J for 22 years. In the early 2000s, she took on the role of executive assistant to Hazelwood, but he soon asked her to do more than take care of his truck stop business. “I was a signature on his (personal) checking accounts,” she said. “Mark asked me to help him with (paying) his personal expenses, paying bills” and handling paperwork associated with his side businesses. She did all that personal work on company time. At one point, she said she was writing checks for Hazelwood to cover more than $67,000 in monthly personal bills. He had four homes: one in Knoxville, one in Nashville, one in South Carolina and one in Utah. He was part-owner of a sports team — though she didn’t identify it — and had a real estate development business, both of which she helped him manage. 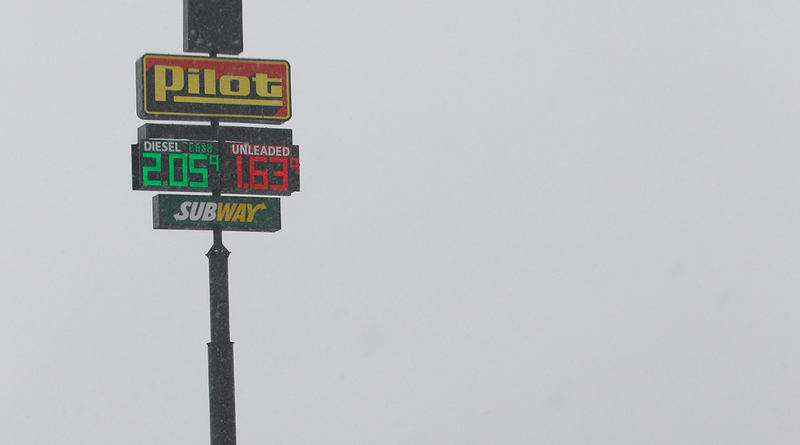 Testimony has shown Hazelwood’s pay was tied to Pilot Flying J’s profitability. After the fraud scheme began in earnest in 2008 and Pilot Flying J’s market share grew, prosecutors say Hazelwood’s annual salary grew to $26.9 million. Hazelwood’s lead attorney, Rusty Hardin, did not contest that his client called Blake about the trip reports one month after he was fired from Pilot Flying J in May 2014 — more than a year after Pilot Flying J’s Knoxville headquarters were raided by the FBI and IRS Criminal Investigation Division. But he insisted through his cross-examination of Blake that Hazelwood had no cause to believe she would be interviewed by law enforcement and, therefore, did not tamper with a witness. He also repeatedly pointed out that Hazelwood never told Blake to lie about sending him the reports. “He didn’t say that,” Blake said, but she added that Hazelwood “knew” she was scheduled to be interviewed by Pilot Flying J’s attorneys just two days after he called her. Jurors also heard testimony Jan. 29 from FBI Agent Andrew Fisher, who told jurors he and IRS CID Agent Robert Masterson interviewed Wombold on the day of the raid. Fisher said Wombold denied knowing anything about a fraud scheme other than a single incident in which trucking firm Star Transport had been cheated of a promised discount. He also insisted, Fisher said, that he had never heard the terms “Manuel” or “Manwell” – a nickname sales executives adopted when referring to the manual rebate system they used to defraud trucking companies. The nickname stemmed from the ownership of some of the defrauded firms by Spanish-speaking people. He also denied any fraud talk at meetings of sales executives or the sales team. Fisher said he knew that was a lie. Wombold’s voice was captured on secret recordings at two such events — one in October 2012 at a sales executives’ meeting at a lake house in Rockwood and a November 2012 mandatory training session at Pilot Flying J headquarters — in which both the fraud and the nickname was used. The trial resumes Jan. 31.